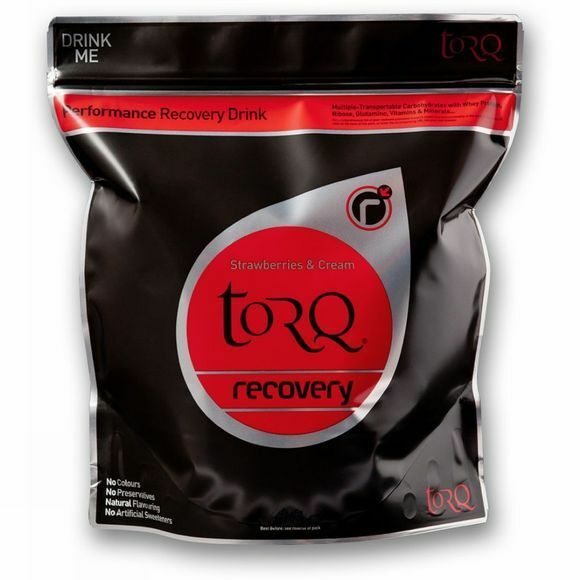 Torq Recovery is a highly advanced post-excercise nutritional drink formulation designed to repair, re-charge and refuel tired muscle tissue after heavy exercise. Its unique matrix of ingredients stimulate the rapid absorption of carbohydrates to re-stock vital glycogen stores. It utilises completely natural flavours and there are no colours or artificial sweeteners. Skimmed milk powder, maltodextrin (glucose polymers 28%), fructose (19%),L-glutamine (6%), whey protein isolate (milk)(4%), D-ribose (3%), thickener (tara gum), natural flavours (1%), vitamin mineral mix (0.1%).